The Jarvis Walker Long Sleeve Kids Marlin Fishing Shirt is a high-performance 167gsm polyester fabric shirt for the active outdoor kid. 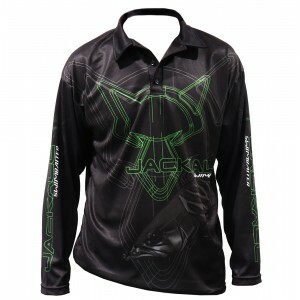 The 100 per cent polyester fabric is lightweight and stays cool and dry while wicking moisture. It is designed specifically to keep the little ones comfortable during family outings and to help them feel part of the fishing action. Most importantly, the Jarvis Walker Long Sleeve Kids Marlin Fishing Shirts provide excellent protection from the sun with a UPF30+ UV rating and a collar to protect the neck. 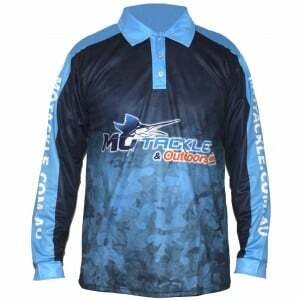 The sublimated design features a striking underwater marlin image and the design is finished with a comfortable buttoned V-neck and round polyester cuffs. 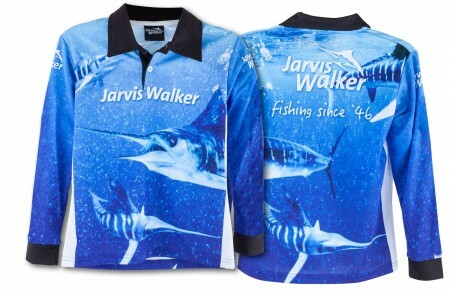 The Jarvis Walker Tournament Long Sleeve Fishing Shirt is available in six children’s sizes from size 2 to size 12.